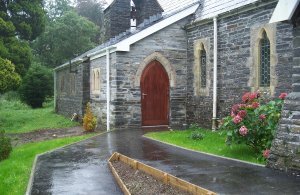 NatSol waterless toilets are the ideal solution for providing accessible toilets for churches without mains drainage. Here you can see examples of church toilets demonstrating a range of solutions. For further information on the service we can provide for churches please go to our Churches page. Description:NatSol can supply a range of timber buildings to fit in with existing built environments. This double pitched roof building is designed to go with our Full Access toilet. We supply the roof structure boarded with OSB. Clients then finish this in a style to fit in with the church buildings e.g. slates. Description:A wheelchair accessible toilet not requiring any mains services. 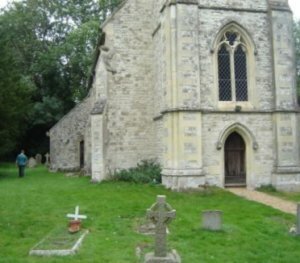 The building was designed by an architect and is situated in the church grounds. It incorporates a garden store. 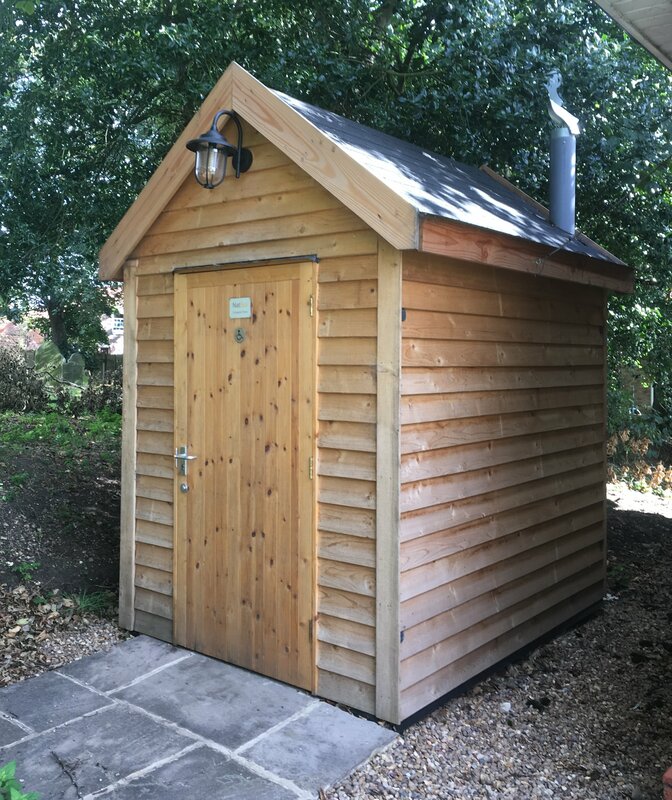 Description:We supplied this double pitched timber building to enclose the NatSol Full Access composting toilet within. 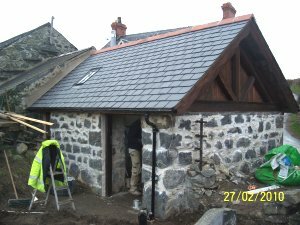 The client clad the roof with cedar shingles. "The toilet is a great deal more robust, spacious and well-appointed than most of (our users) were expecting. It has been a pleasure working with you and your company. I hope you continue to do well and I am happy to give you a good reference if anyone wants one." Description:This two cubicle building is becoming a NatSol standard option. It has a full access cubicle on the left with outward opening door and a urinal area for men on the right with inward opening door. At St Peter's they are currently using the urinal area as a garden store! 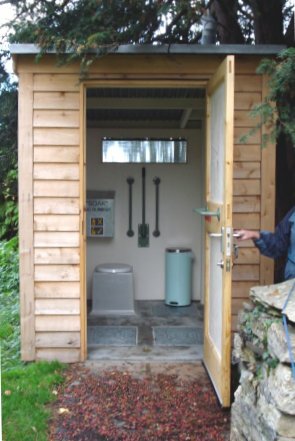 Description:A fully accessible toilet eco for a church in West Wales. This was incorporated into an existing stone outshot. 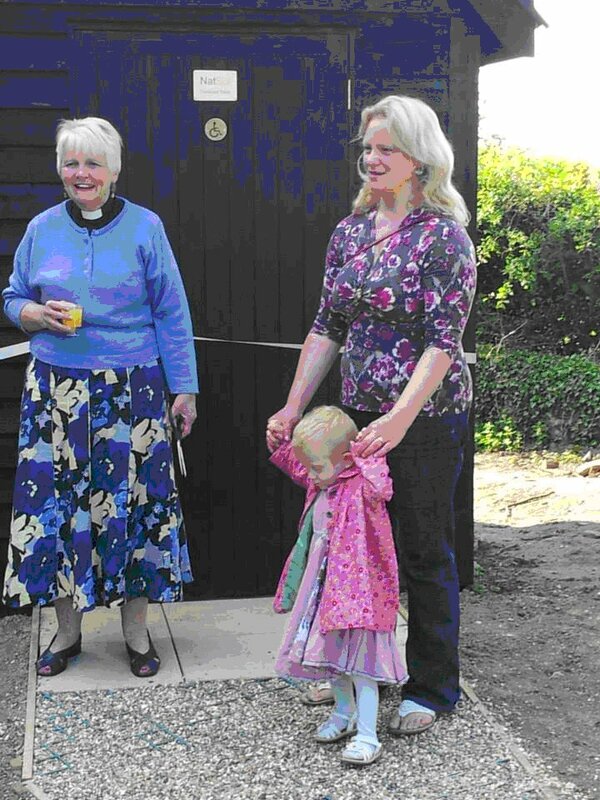 Description:A fully accessible toilet for a church in West Wales. 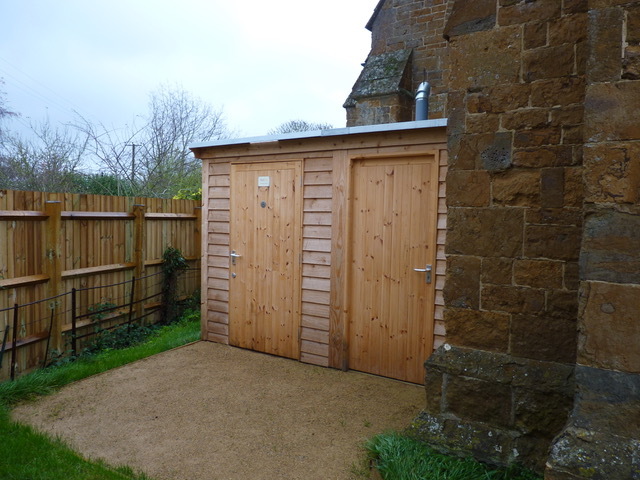 This was incorporated into an existing stone outbuilding. Description:A urine separating waterless toilet situated to the side of the churchyard close to the wall. 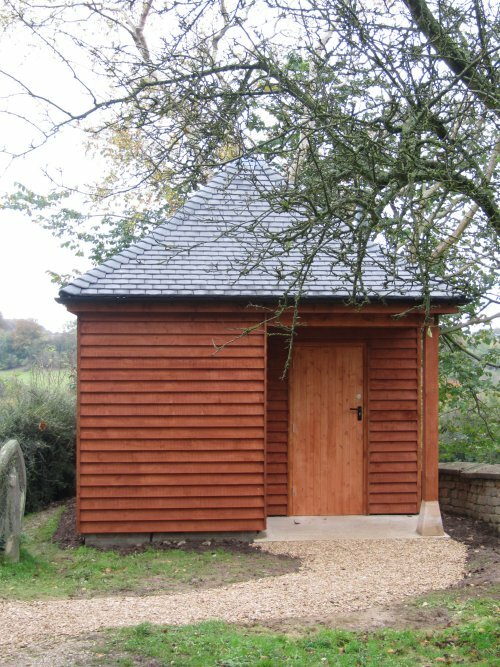 A church toilet for special events and regular services in Hampshire. 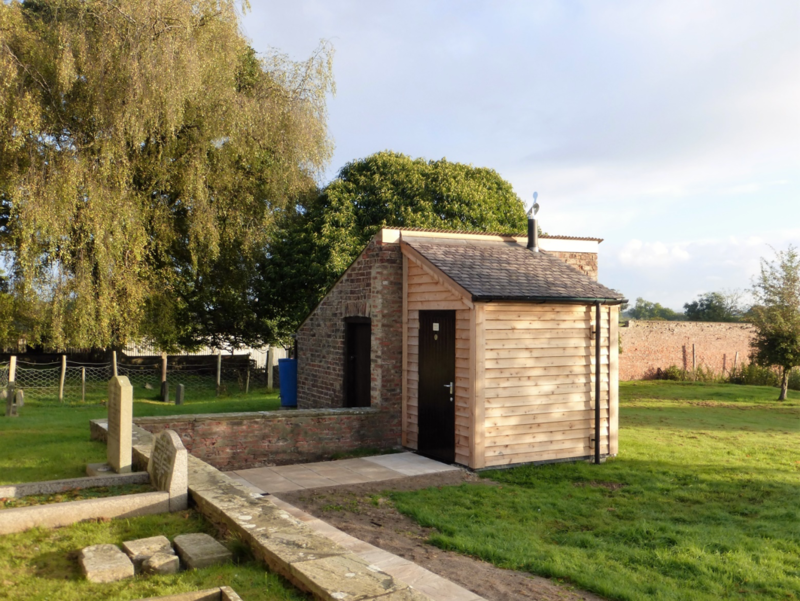 Description:A dry composting toilet hidden round the back of the church in the graveyard. An early version of the NatSol Full Access twin vault toilet with GRP pedestal rather than the current stainless steel one. The toilet has a low maintenance requirement and we understand that it is functioning very well 8 years after install. 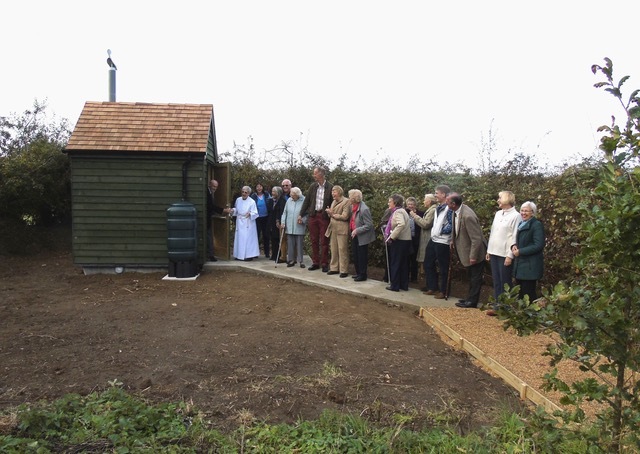 All Saints’ is proud to be the first Church in Winchester Diocese to have installed a wheelchair-friendly and environmentally friendly waterless composting toilet.